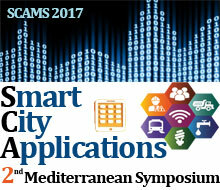 The Mediterranean Symposium on Smart City Applications (SCAMS 2017) is a multidisciplinary international conference organized by the Mediterranean Association of Sciences and Technologies (MediAST) in partnership with the Faculty of Sciences and Techniques of Tangier (FSTT). Smart City is a new approach that covers clean technology and emerging information technology and their application in fields of urban services, healthcare, transportation, security, sustainability, industry, and other domains. SCAMS will take place in Tangier, Morocco from 25-27 October 2017. The Symposium is a forum for scientists, health researchers and industrial engineers to discuss and exchange experimental or theoretical results, novel designs, work-in-progress, experiences, case studies, and trend-setting ideas in the area of smart city. 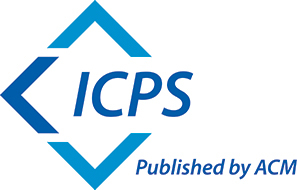 Papers with new research results and new products or concepts are encouraged for submission. The Symposium is the next event of the highly successful International Workshop in Smart cities and innovative systems SCIS’16 held in Tangier October 2016.